The AMELIORATE Exfoliating Body Mitt is made from an innovative fabric weave that is gentler than a synthetic or natural loofah. It efficiently sweeps away dead skin cells revealing softer, smoother, healthier-looking skin. 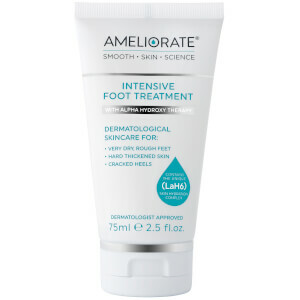 AMELIORATE is designed for people with very dry skin, dehydrated skin, bumpy skin, rough skin, Keratosis Pilaris and ingrown hairs but it will leave EVERYBODY’S skin beautifully soft and smooth. Suitable for all skin types. Suitable for daily use. Not recommended for facial use. Not recommended for children. DIRECTIONS: Use on DRY skin before showering or bathing, using firm circular movements. PRODUCT CARE: Rinse regularly by hand or on a 30° cycle and dry naturally. Due to fabric wear we recommend replacing the mitt at least every 6 months for optimum efficiency. WARNINGS: Do not use on broken, infected, damaged or irritated skin. Not recommended for facial use. Not recommended for children. Love this Exfoliating Body Mitt - it is so satisfying to use and I saw results instantly. Highly recommend! Ive tried loads of products to try and get my skin into shape. 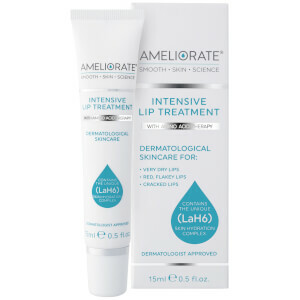 Ive now tried all of the Ameliorate products and each one actually works. As well as dealing with the chicken skin theyve been great for spots and ingrown hairs too. Skin so soft and hydrated.